Chen (橙) is Ran Yakumo's shikigami, who was guarding the village of Mayohiga during the events of Perfect Cherry Blossom. Unfortunately, she could put up little resistance due to being far away from her master. 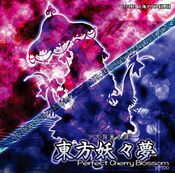 Chen first appeared as the second stage midboss and boss of Perfect Cherry Blossom, along with being the extra stage midboss and Ran Yakumo's familiar in one of her spell cards. She was also Yukari Yakumo's familiar in Immaterial and Missing Power, Scarlet Weather Rhapsody, and Antinomy Of Common Flowers, and was a target on Stage 6 of Shoot the Bullet. Additionally, she made a background appearance in Hopeless Masquerade. She is a bakeneko youkai that Ran Yakumo uses as shikigami, but since Ran herself is Yukari's shikigami, she is a "shikigami of a shikigami". When possessed as a shikigami, Chen aquires the fearsome power of a kishin, but since her master is also a shikigami, her ability is fairly low. The possession is removed when she is soaked in water, and since she also hates water as a cat, she is in any case weak to water. Her height is "low" and is capable of human speech. She can use impressive black arts, but only possesses the intellect of a human child. Whether she is possessed or not, her personality and appearance don't change. She ordinarily lives on Youkai Mountain. In Bohemian Archive in Japanese Red, she made the village of cats and tried to stand as the leader, but the progress has been unfavorable. The way her abilities show up in the game itself is that she runs around the screen so freely in a way that is not expected of a boss of a shooting game, which is characteristic of her (as one would expect of a cat). This could be considered cute if she were an ordinary cat, but it also makes her slightly more tricky to deal with due to her speed and deceptive movement, which can confuse her opponent. Another characteristic of her is how she spins around and around while attacking, somewhat like her master. 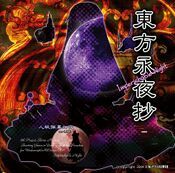 In shikigami state, Chen becomes extremely dangerous and is able to use various kinds of sorcery. She uses techniques that focus on speed and precise, tricky movements to confuse her opponents, making it very similar to sleight of hand. For example, she could make it appear as if she is dashing to the left, but will then attack from the right instead, moving so quickly that to humans it appears like instant teleportation. When she becomes a regular bakeneko, she becomes more feral and will resort to more physical attacks like biting and clawing with her long nails. Rather than saying she possesses a special ability to surprise accompanying humans, it is more strongly an implication that she's not able to do anything other than things of this extent. (However, even so, for ordinary humans it is dangerous enough). This is the same ability that Kogasa Tatara has - thus in this aspect, they have mutuality. Chen serves as a shikigami to Ran Yakumo, and becomes much stronger when her master is present. However, she hates water, and splashing her will dispel the shikigami possession, making her resort to physical attacks. She is also very fond of catnip, and will lose the will to fight if some is scattered to distract her. Her full name is Chen (橙). The kanji in her name can be literally translated as the color "bitter orange" in the Japanese Language, or simply "orange" in Chinese. All of the Yakumo family are named after the names of color. Why Chen appears before Ran and Yukari comes from the fact that the orange light has physically lower energy than the indigo, Ran, and the violet, Yukari. The pronunciation of her name "Chen" is an obsolete Chinese reading of 橙. In Japanese, the character would be read as "tou" or "daidai"; in Mandarin, "chéng". In her first appearance, Chen has dark brown eyes, brown hair and wears a green mob cap. She has black cat ears, with a gold earring in the left one, and two tails. Her dress is red with a white bow on the collar, with gold trimming and light pink frills at the bottom. The dress has light pink sleeves. She wears socks and has long hot pink fingernails. Chen first appears in the second stage guarding the village of Mayohiga, but she is promptly defeated by the heroine. Later in the extra stage, she guards the path to Ran Yakumo, and is much more powerful due to her master's proximity, but was again defeated. 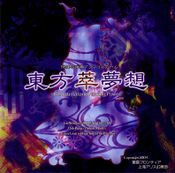 Chen appeared in Immaterial and Missing Power, Scarlet Weather Rhapsody, and Touhou Hisoutensoku as a projectile in Yukari's spell card Shikigami "Chen". In Antinomy of Common Flowers she gets used in the same way, this time in a combined move with her master Ran Yakumo. 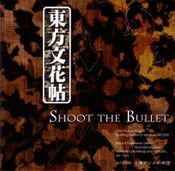 In Shoot the Bullet, Aya Shameimaru encountered Chen on stage 6 and took photos of her danmaku. Chen made a background cameo appearance in Hopeless Masquerade on the Hakurei Shrine stage. She is seen standing with Ran Yakumo cheering (as a little animation). Aya investigates an abandoned village inhabited entirely by cats. When she arrives, she finds Chen and cat anarchy. Chen explains that she gathered the cats there in search of a servant to call her own. By the time Aya returns for an interview, Chen still has not managed to establish a solid leadership role for herself. Aya tells her that she lacks power and that she should reflect on the nature of the relationship between her and her master Ran. She recommends using a mouse (which Chen objects to). Ran Yakumo is her master and Yukari Yakumo is her master's master. (鬼神「飛翔韋駄天」) Flight Sign "Soaring Idaten"
Chen is one of the few Touhou Project characters in the Windows series to not have a last name (Others being Cirno, Kisume, Wakasagihime for example). Chen is the only character to only have one kanji in her name. 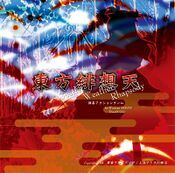 Chen's fifth color palette in Antinomy of Common Flowers resembles Remilia Scarlet and her sixth slightly resembles Keine Kamishirasawa's hakutaku form. Stage 2 Boss, a bakeneko living in a mountain possessed as a shikigami. She possesses the ability to handle sorcery. Her true form is Ran's shikigami, which makes her a shikigami of a shikigami of a youkai. Although she's a shikigami, her normal form is not always in a form of a charm, she can remains in her human-like form in normal situation so it won't be bothersome to classify her types. Even without being in shikigami possession she can speak the human language and fly around, but she would merely have the ability to the extent of surprising people. Also, while not being possessed, neither her appearance nor personality changes, but she still curls up by a kotatsu in the winter. Bakeneko acquire fearsome power when possessed by a kishin, but since Chen's user is also a shikigami, her ability is fairly low. Getting touched by water dispels her shikigami possession. As a bakeneko her normal form also hates water, so she is always weak against water. While in the middle of fully recovering from the injuries of her previous defeat, Chen is set for a second round of combat. Her master is in the vicinity this time around, so her power has been amplified considerably. Would that power work on the human before her? This page was last edited on 6 April 2019, at 00:09.